Korean artist, designer, writer and translator Hye Young Yu has been living in Spain for over 20 years. With a degree in Graphic Design from Sookmyong University in Seoul and a Master’s in Multimedia and Interactive Design from the Elisava Higher School of Design in Barcelona, where she has been a lecturer for seven years, Hye has been the curator of and participating artist in various exhibitions in capital cities all over the world. She writes articles and illustrates for several design, architecture, cultural and travel magazines. An expert in political, cultural and economic relations between the city of Barcelona and her native Korea, she accompanies Korean politicians and business representatives as a guide and specialist interpreter. Hye also enjoys considerable coverage in the Korean media since her appearance on the programmes Sarangun amuna hanna and Hachim madang. She is the author of five books and co-translator of Bandi’s La acusación (The Accusation). 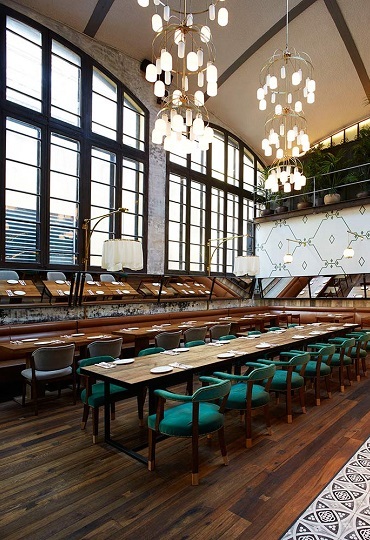 El Nacional is a very special place, housing eight bars and restaurants with very different concepts. In 1889 a cabaret opened in the heart of the Eixample quarter; later it had several different uses: an ink factory, a mechanic’s garage and finally a car park. In 2014 the space was renovated and re-adopted its original name. 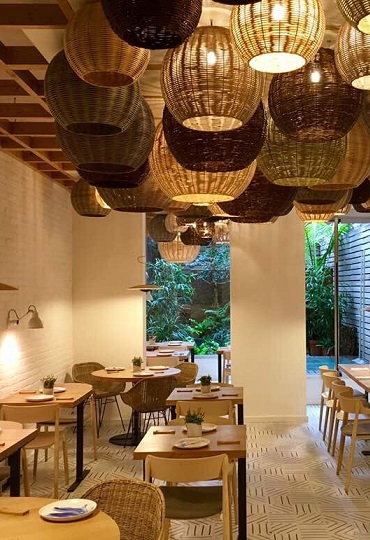 Among the eight establishments, there is a grilled meat restaurant, a place for tapas, an eatery specialising in seafood and one serving Mediterranean fare. The Llotja restaurant and its seafood specialities are highly recommended, as the fresh choices of the day are on display for the client to choose what most takes their fancy. They say that Moritz is the beer of choice for Barcelona’s taxi drivers. It was produced in this building on the Ronda de Sant Antoni and was so light and fresh that even those who had to drive could drink it. Not long ago the space in which the beer had been brewed for 160 years was renovated by Jean Nouvel to become a multifunctional venue. 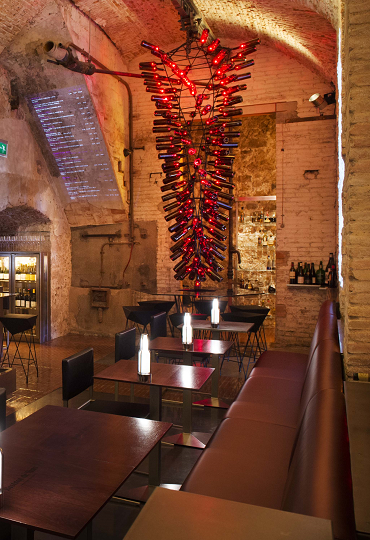 The current Moritz factory has a bar, a restaurant, an events room and a shop that sells the beer along with souvenirs featuring the graphic design which appeared on the brand’s different labels. 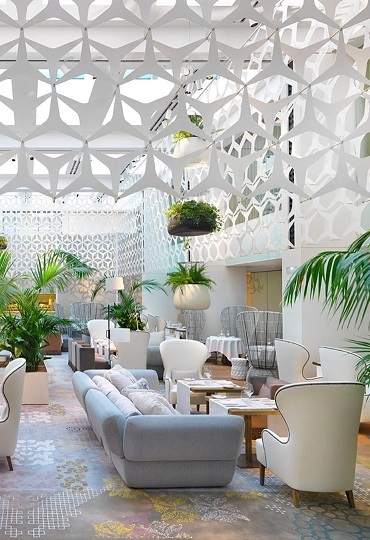 Blanc is reigned over by a chef who holds three Michelin stars, Carme Ruscalleda. The restaurant is located in the Mandarin Oriental Hotel and is the perfect space to enjoy a relaxing afternoon with tea and cakes. It is also renowned and recommended for its Sunday brunch menu (12.30 – 4 p.m.). At the centre of the restaurant there is a luminous garden, where it seems a fairy might pop out at any moment. Spending a few hours in this spot definitely counts as an unmissable experience during a visit to Barcelona. The Arroz Hofmann restaurant has chefs who have graduated from the Hofmann school of hospitality. As well as tasting traditional food, you can try dishes with innovative and surprising sauces: the menu includes Andalusian-style squid with kimchi mayonnaise or rice with baby cuttlefish, also with kimchi sauce. But it’s not obligatory to venture into such exotic combinations; at Arroz Hofmann you can enjoy exceptional meat and fish as well. The best establishment to discover the culinary delights of the city and the latest trends in fine dining. 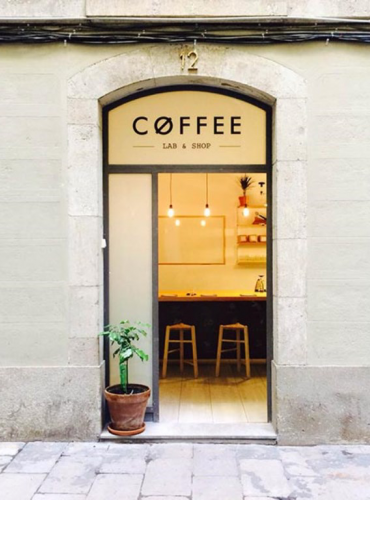 This is the place in Barcelona that coffee aficionados must visit! It is a minimalist space reminiscent of a laboratory in which serving a cup of many people’s favourite beverage seems almost experimental. The mere observation of the preparation ritual is like savouring the coffee with all your senses. Visitors can learn all manner of information about the aroma and flavour of each of the coffees on offer before choosing the one that appeals to them most. We recommend the café con leche (milky coffee) or the americano (black coffee with lots of water), as the expreso might be too strong for Korean taste buds. Trying a cup of Nømad coffee means not being able to resist the temptation of returning time and time again. The Santa Caterina Market was built in 1845 and, after a long renovation, was reopened in 2005. 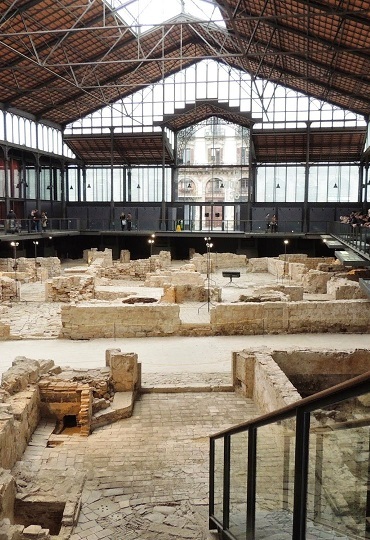 The construction is a good reflection of the architectural and artistic greatness that characterises Barcelona. The entire building is supported by robust metal columns which resemble the branches of an old tree and the roof is covered in multi-coloured tiles. The interior is shaped by beautiful curves of wood, giving it a lovely atmosphere. The entrance produces a dazzling effect, which is enhanced as you move further inside and enjoy the variety and freshness of all the produce on offer. The historical and cultural interest of the Born neighbourhood explains the powerful attraction it holds for many foreign visitors, some of whom even dream of living there. 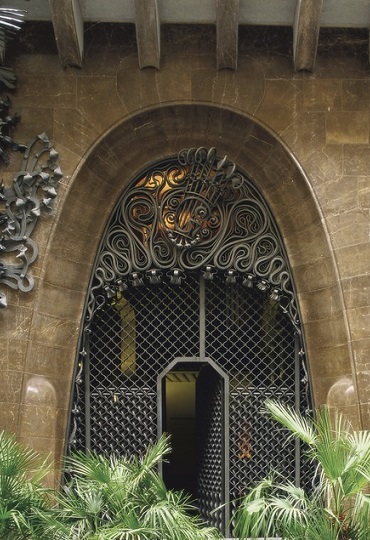 Despite the dynamic nature and constant renewal of Barcelona, the Born retains the same atmosphere it has always had. 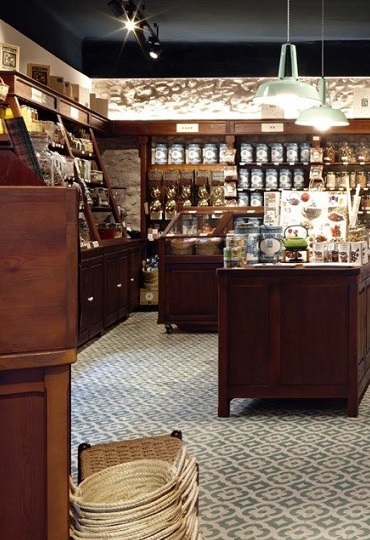 Casa Gispert is a simple store in which they sell nuts in the traditional manner but, as it dates back to 1851, it also represents a type of museum in the area. For visitors who are curious to see an old-fashioned store, this is a must-see. 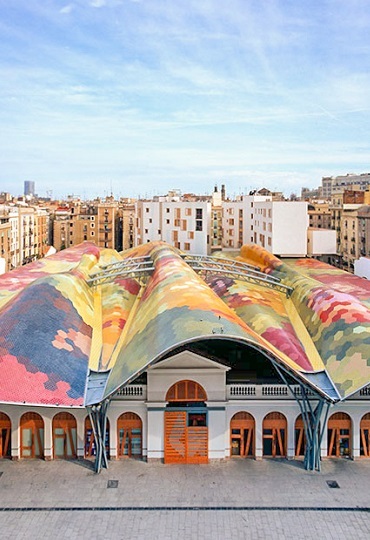 The opening of the Born Market in 1876 expresses a key moment in the economic and cultural evolution of Barcelona. It was the golden age of architecture for the large metal structures which still stand after almost a century and a half. The walls and roof are covered in large windows, allowing abundant natural light to flood in. Now a centre for culture and memory, the area comprises four exhibition halls surrounding a central space in which ruins are visible for visitors to appreciate without paying an entrance fee. If you are lucky, your visit might coincide with a concert or poetry recital. Among all Gaudí’s buildings, Palau Güell is one of his most classic constructions. But in its interior and the refinement of its ornaments, one clearly perceives the hand of the great architect. Palau Güell represents a project in which Gaudí began to experiment and to develop the characteristics that would make him famous. A visit to the rooftop is essential to appreciate his artistic creativity, particularly in the cupola reminiscent of the starry sky and the in the decoration of the chimneys, which resemble an abstract painting. 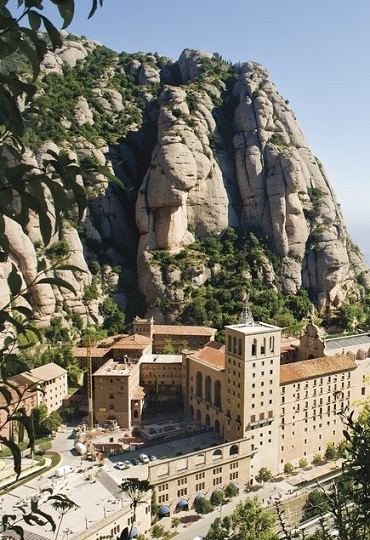 Montserrat is the name of a mountain and of a monastery situated on the outskirts of Barcelona. The unusual rock formations inspired Gaudí in the construction of his Sagrada Familia and the site represents one of the most respected and appreciated spiritual spaces in Catalonia. The main figure of worship is a dark-faced Romanesque statue, the Mare de Déu de Montserrat (the Mother of God of Montserrat). Long queues form before her so that visitors can formulate their prayers when they touch the orb she holds in her hand. It is well worth a trip to this unique sanctuary situated just an hour by car from the city centre. 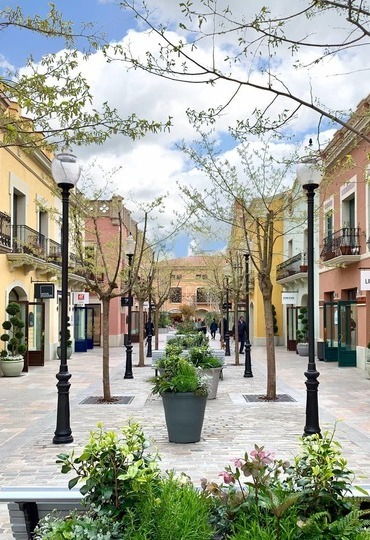 There is no better place for shopping in the Barcelona area than La Roca Village. As well as the global brands, travellers arriving in Spain for the first time will also find the country’s most prestigious labels. Walking around the shopping centre, it feels like you are exploring a traditional village. A window, a balcony, a building, every detail is carefully designed to transmit the local ambience. The decoration of the walkway and the stores changes each season and the picture is completed by cultural events and works by renowned artists.